Although the study did not demonstrate efficacy of glyburide, differences were seen in the amount midline shift at 3-4 days. Data from the Safety and Efficacy of Intravenous Glyburide on Brain Swelling after Large Hemispheric Infarction (GAMES-RP) trial was recently published in Lancet Neurology, with analysis on a new targeted therapy for malignant cerebral edema in stroke patients. In the current study, 86 patients with large (82-300 cc) anterior circulation stroke were randomized to intravenous glyburide or placebo. The primary outcome was the proportion of patients who achieved a modified Rankin scale (mRS) of greater than 4 at 90 days without undergoing decompressive craniectomy. Secondary outcomes examined markers that were believed to be surrogates for efficacy of glyburide and included proportion of patients who required decompressive hemicraniectomy and changes in measures of swelling. Although the study did not demonstrate efficacy of glyburide in terms of the primary endpoint, differences were seen in the amount midline shift at 3-4 days, showing some insight into the mechanisms of cerebral edema in acute ischemic stroke. It is also important to note that the study was stopped early due to lack of funding, leading to an underpowered analysis in regards to primary outcome. In an accompanying editorial,4 Professor Graeme Hankey, MD, pointed out the promise and the pitfalls of GAMES-RP. The results are consistent with the pilot study, furthering the notion that SUR1 plays an important role in the pathogenesis of subsequent cerebral edema and is a viable target for therapy. The consequences of an unfortunate lapse in funding and the variability of decompressive hemicraniectomy certainly affect the outcome data, as well as the “generous” mean interval of 9 hours from stroke onset to treatment. 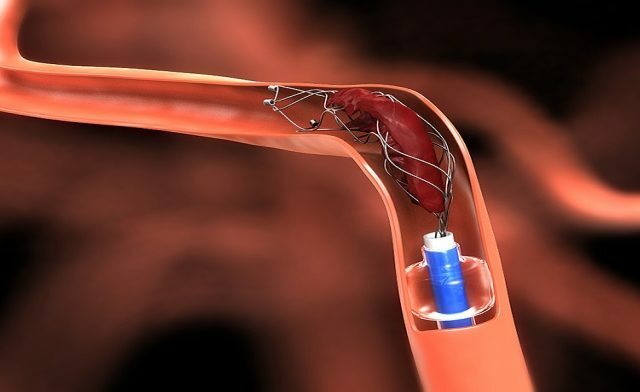 Currently, the only approved pharmacologic treatment in acute ischemic stroke is alteplase (tPA).5 For patients who are not candidates for tPA or thrombectomy, therapeutic options are limited. 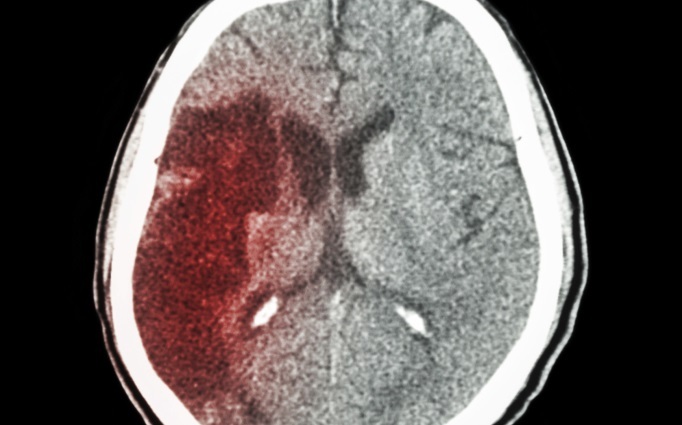 Patients with large ischemic strokes are at risk for complications related to subsequent cerebral edema. Currently these complications can be treated with hyperosmolar therapy and in some cases hemicraniectomy. SUR1 is a novel target aimed at reducing cerebral edema, an important cause of mortality and morbidity in acute ischemic stroke. In current practice, many patients who are older than 60 and present to an ICU with a large hemispheric stroke would be deemed poor candidates for decompressive hemicraniectomy due to higher mortality and odds of poorer outcomes6–8 with surgery. In this patient population in particular, options are limited and often ends with withdrawal of care. Novel targets aimed at pathology that causes increased morbidity and mortality are sorely lacking. It is for these patients in particular that SUR1 antagonism may play a key role in improving outcome. Despite being a negative trial, intravenous glyburide was proven to be a safe treatment with enough promise for a phase 3 efficacy trial. Shortcomings from GAMES-RP has proven useful to inform the design for the CIRARA in large Hemispheric infarction Analyzed for modified Rankin scale and Mortality (CHARM) trial, which will seek to answer the question of whether targeted therapy with glyburide can improve the outcome of high risk patients with large acute strokes. Sheth KN, Kimberly WT, Elm JJ, et al. Pilot Study of Intravenous Glyburide in Patients With a Large Ischemic Stroke. Stroke. 2013;45(1). Simard JM, Sheth KN, Kimberly WT, et al. Glibenclamide in Cerebral Ischemia and Stroke. Neurocrit Care. 2014;20(2):319-333. Simard JM, Chen M, Tarasov K V, et al. NIH Public Access. 2009;12(4):433-440. doi:10.1038/nm1390. Hankey GJ, Righetti E, Celani M, et al. Glyburide for cerebral oedema: could an old dog have a new trick? Lancet Neurol. 2016;15(11):1109-1111. Jauch EC, Saver JL, Adams HP, et al. Guidelines for the early management of patients with acute ischemic stroke: A guideline for healthcare professionals from the American Heart Association/American Stroke Association. Stroke. 2013;44(3):870-947. Dasenbrock HH, Robertson FC, Aziz-Sultan MA, et al. Patient Age and the Outcomes after Decompressive Hemicraniectomy for Stroke: A Nationwide Inpatient Sample Analysis. Neurocrit Care. 2016;1-13. Huttner HB, Schwab S. Malignant middle cerebral artery infarction: clinical characteristics, treatment strategies, and future perspectives. Lancet Neurol. 2009;8(10):949-958. Vahedi K, Hofmeijer J, Juettler E, et al. Early decompressive surgery in malignant infarction of the middle cerebral artery: a pooled analysis of three randomised controlled trials. Lancet Neurol. 2007;6(3):215-222.